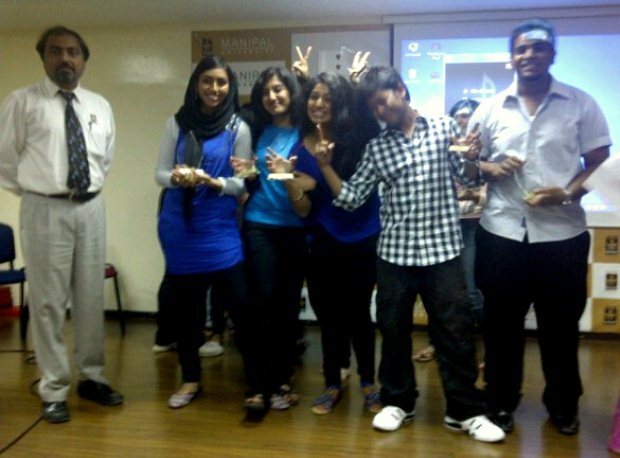 In the midst of books, cameras and test tubes, Manipal University Dubai encouraged students to voice out their inner talents through an inter-departmental choir competition. Alluring is the goose bumps you get from the reverberations of every musical note. Like every year we had students participating for the competition. The auditorium on last Thursday, 24th February was the place to be! Students from every department came out from their shell mode and sang till they reached the highest pitch of their emotions. Guitars, pianos and mikes befriended these fledglings as they filled the auditorium with awe and music. The auditorium was encompassed with students who rejoiced and clapped their way, as a gesture of support and encouragement. 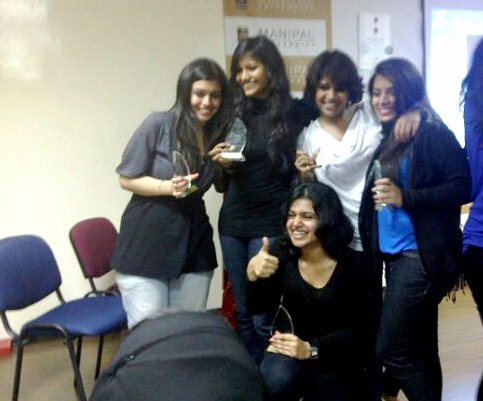 The winners were on the brim of close competition; however the Management Department swayed through their 1st prize and edged out the Media Department to the 2nd slot on a razor thin margin. The judges were on hot seats as both the departments were brilliant and deserving. The difference between them was just one point. The anticipation resulted sweaty palms and chewed nails but moreover, the event at Manipal Dubai, like always, ended with cheers, commendations and felicity.